While attending the 2015 World Tea Expo, I saw a lot of innovative tea and beverage equipment from household names to market newcomers. All were impressive in their own right and I touched on a few that stood out in my WTE 2015 recaps. Space is always a concern in my home and the tools I currently own serve their purpose well. With no plan or need to purchase more tea equipment, I approached the CRAFTEA booth to view a demonstration. There, Jitu Keshav shared the amusing story behind the creation of the CRAFTEA, and it resonated with me. 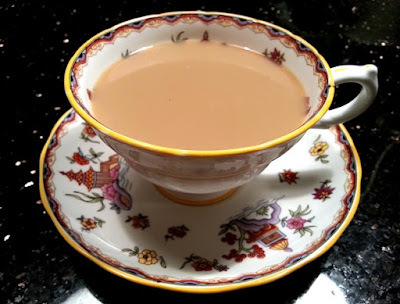 Masala chai holds a special place in my heart, but it's difficult to find a source for the traditional brew where I live and the mess involved in making it at home is daunting. 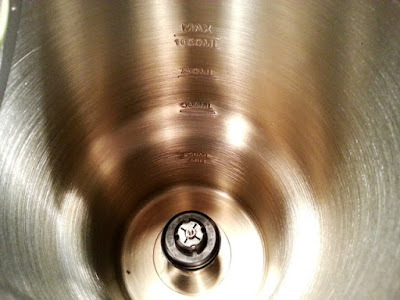 I'm easily distracted by any number of projects (I own a whistling teakettle for good reason) and a milk boil-over under my not-so-watchful eye is almost guaranteed. 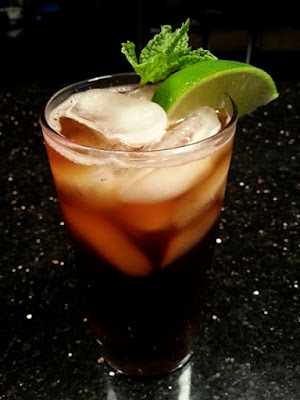 The CRAFTEA is the answer to a need I didn't expect to have fulfilled. 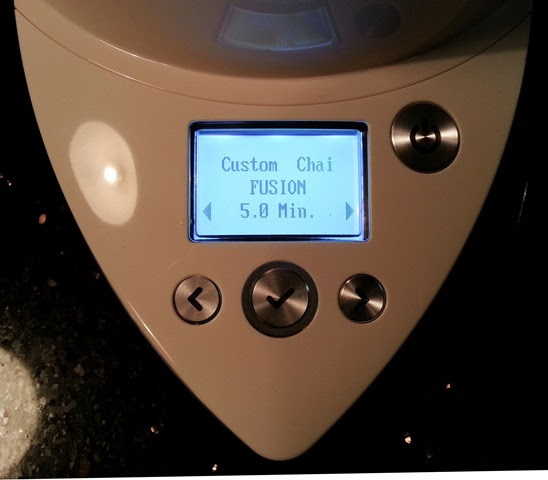 It's programmable and can make anything from teas to flavored infusions to a proper chai. I took a chance and pre-ordered a CRAFTEA the same night it won the award for Best New Product 2015 at the Expo. Since its arrival, it has delivered on its promise of usefulness. Included in the box is the CRAFTEA tea maker, an instruction manual, and a recipe book. The tea maker stands almost 13-inches tall and is 6-inches wide and 9-inches deep at the base. For those with limited kitchen space, this has a reasonably small footprint. The cord is short which may limit where it can be used. 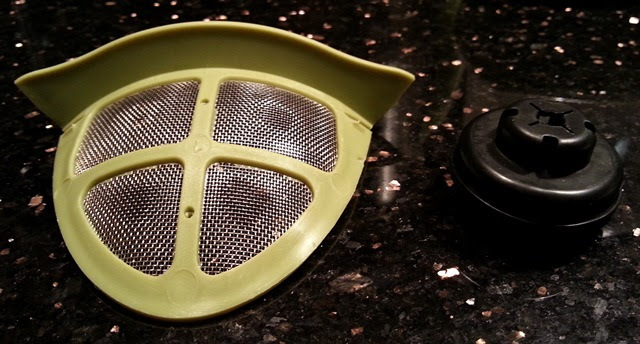 The teapot lid, strainer, and stirrer are removable for easy cleanup. Note that some caution should be used when cleaning around the metal guides that hold the strainer in place inside the teapot. If you are an early-adopter (before 2016) of the CRAFTEA, like myself, you may find that the stirrer is difficult to remove and may create more noise than expected. An updated stirrer will easily resolve both problems and can be requested through the contact page on the official website. 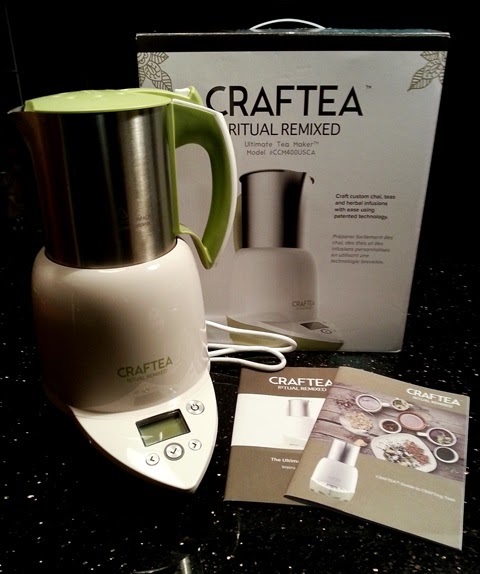 The CRAFTEA uses induction heating which prevents scalding or boil-over and vortex technology which blends ingredients evenly for more reliable flavor results. A full teapot will produce 4 cups of tea. Press the power button and follow the prompts on the screen. A loud beep will alert you after each step is completed so you can safely step away while it works. First, the water will be heated to the appropriate temperature. Next, the tea is added. It is important to note that tea leaves will open up and release their flavor more quickly than with standard preparation methods, so time should be reduced accordingly. A 5-minute cup of black tea may take only 2 to 3 minutes. For chai, you will receive prompts to add spices, add sweetener and tea, and then add milk. You will receive similar prompts for other flavor infusions. Keep in mind that hot steam will be venting through the lid. When in use, keep the tea maker out from under cabinetry and avoid reaching over the lid. The pitcher will also be hot and should only be held by the handle. 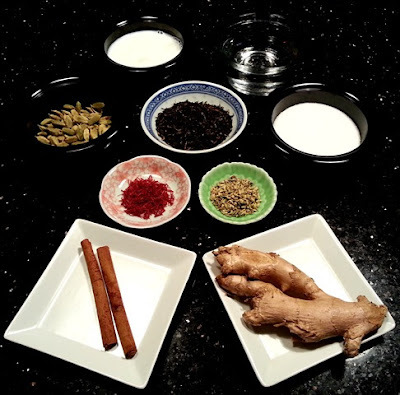 I prefer traditional tea brewing methods for loose tea and have been using my CRAFTEA exclusively for chai and the occasional flavored infusion. I've prepared Pratima & Jitu's Favorite Chai Recipe (with a bit of clove) several times for guests at home and for co-workers in the office and it has been a big hit every time. Short cord limits area of use. Price, while comparable for similar equipment, may be prohibitive.